A non-profit organization with technology that brings digital content to "offline" populations around the world for the purposes of education will be paying more attention to a U.S. population that's also unable to access the Internet: those in prisons and jails. World Possible, which has drawn an international team of volunteers to support people in Kenya, Namibia, Guatemala and Sierra Leone, has received a $250,000 donation from an unnamed source to develop a U.S.-based prison education technology pilot program. 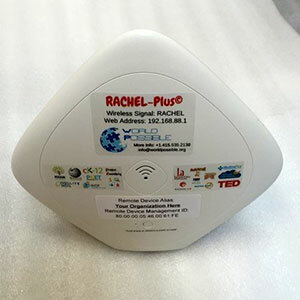 The project will expand the use of RACHEL-Plus (for "Remote Area Community Hotspot for Education and Learning"), a technology developed by the organization that combines a collection of websites with an Intel Education Content Access Point (CAP). The CAP creates a wireless hotspot in a setting with no Internet connectivity to give browser-based content access to the user. The $399 device can support up to 50 simultaneous users; provides 500 GB of storage (of which 300 GB is pre-loaded by the organization); a five-hour battery life; and password-protected access to a teacher portal that allows the instructor to upload PDF files, movies and other content. Content includes videos from the Khan Academy, Wikipedia articles, CK-12 open educational resources, learning articles and videos from GCF LearnFree.org, TED talks and great books, among other resources. A less expensive model, RACHEL-Pi 3, can be used by 10 users at a time and sells for $99. A $25 USB edition is designed to work on a single computer. The prison education program will be run by Frank Martin, who formerly handled education administration for the Oregon Youth Authority. "The incarcerated populations in the United States are not being given adequate 21st century skills they need to re-enter society. By leveraging current open-source collections of content and unique offline technologies, we're bringing educational opportunities into a place that was off limits just a few short years ago," Martin said, in a news release. "If we prepare inmates — and I prefer the term students — for re-entry by equipping them with appropriate digital skills, access to education, and career content, we are going to reduce recidivism and unlock the potential that is in each of these returning citizens."